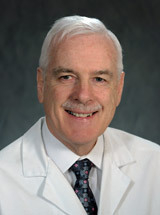 Dr. O'Dwyer is employed by Penn Medicine. Shirao K, Hoff PM, Ohtsu A, Loehrer PJ, Hyodo I, Wadler S, Wadleigh RG, O’Dwyer PJ, Muro K, Yamada Y, Boku N, Nagashima F, Abbruzzese JL: Comparison between the efficacy, toxicity, and pharmacokinetics of a uracil/tegafur plus oral leucovorin regimen in Japanese and American patients with advanced colorectal cancer: joint USA and Japan study of UFT/LV : 2003. Flaherty KT, Stevenson JP, Hahn SM, Redlinger M, O’Dwyer PJ: Dose escalation and safety study of gemcitabine, carboplatin, and paclitaxel in patients with adavanced malignancy Cancer Chemother Pharmacol : 2003. Giantonio BJ, Derry C, McAleer C, McPhillips JJ, O’Dwyer PJ: Phase I and pharmacokinetic study of the cytotoxic ether lipid ilmofosine administered by weekly 2-hour infusion in patients with advanced solid tumors : 2003. Yao KS, O’Dwyer PJ: Role of the AP-1 element in mediating transcriptional induction of DT-diaphorase gene expression by oltipraz: a target for chemoprevention Biochem Pharmacol : 2003. Schaner ME, Ross DT, Ciaravino G, Sorlie T, Troyanskaya O, Diehn M, Wang YC, Duran GE, Sikic TL, Caldeira S, Skomedal H, Tu I-P, Hernandez-Boussard T, Johnson SW, O’Dwyer PJ, Fero M, Kristensen GB, Borresen-Dale A-L, Hastie T, Tibshirani R, van de Rijn M, Teng NN, Longacre TA, Botstein D, Brown PO, Sikic BI: Gene expression patterns in epithelial ovarian carcinomas : 2003. 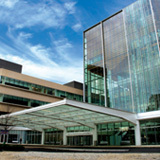 Flaherty KT, O'Dwyer PJ: Phase II trials in oncology Anticancer Drug Development Guide : 2003. Vasilevskaya I, O’Dwyer PJ: Role of Jun and Jun kinase (JNK) in resistance of cancer cells to therapy Drug Resistance Updates : 2003. O’Dwyer PJ, Johnson SW: Current status of oxaliplatin in colorectal cancer Semin Oncol 30 (3 Supp 6): 78-87,2003. Bilenker JH, Stevenson JP, Flaherty KT, Algazy K, McLaughlin K, Haller DG, Giantonio BJ, Garcia-Vargas JE, O’Dwyer PJ: Phase I trial of the antifolate ZD9331 in combination with cisplatin in patients with refractory solid malignancies : 2003. Veronese ML, Stevenson JP, Sun W, Redlinger M, Algazy K, Giantonio BJ, Hahn S, Vaughn D, Haller DG, O’Dwyer PJ: Phase I trial of UFT/leucovorin and irinotecan in patients with advanced cancer : 2003.